Can You Guess? Young Person's Guide to the Orchestra has introduced millions of children to the orchestra, but another popular piece used similarly tells the story of a boy, his grandfather, several animals and a group of hunters. Can You Guess the story? 1739 - G. F. Handel finishes his Concerto Grosso in G, Op. 6. 1780 - Premiere of Franz Joseph Haydn's opera La Fedlta Premiata at Esterházy. 1784 - Thomas Hastings, American hymn writer, was born. 1844 - Johann Strauss, Jr., age 18, first conducts his own orchestra at Dommayer's Casino near Vienna, conducting some of his father's work as well as his own. 1858 - Birth of American composer and conductor Frank van der Stucken, in Fredricksburg, TX. 1886 - Premiere of Antonin Dvorák's oratorio St. Ludmilla Op. 71, in England. 1890 - Birth of American composer and violinist Arcady Dubensky. New York Philharmonic. 1900 - Opening of Boston Symphony Hall. 1905 - Birth of Swedish composer Dag Wiren. 1956 - Leonard Bernstein named co-conductor of the NY Philharmonic with Dimitri Mitropoulos. 1964 - Cole Porter, American composer and lyricist (20 musicials including Kiss Me Kate, Anything Goes, Begin the Beguine), died. 1981 - Premiere of Robert Starer's Violin Concerto. Itzhak Perlman. 2003 - Premiere of Peter Maxwell Davies' Naxos Quartet No. 3 with Quartete No 2 by Maggini Quartet. Provided as a courtesy to allow you time to acquire materials or recordings to supplement the daily reading. October 15, 1946 marked the first performance of a piece of music loved worldwide by young people. Young Person's Guide to the Orchestra Op 34 (Variations and Fugue on a Theme of Henry Purcell), by Benjamin Britten, was actually written as the score of a film, but the film would not make its premiere until November 29. (Edward) Benjamin Britten was born November 22, 1913 at the family home in Lowestoft, Suffolk, England. His father was a dentist. He had two sisters and a brother, all of whom were older than he. Benjamin started composing at the age of five. He was educated locally, and studied, first, piano, and then, later, viola, from private teachers. 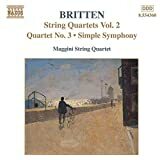 After about 1922 Britten composed steadily until his death. In 1927, Benjamin attended a concert conducted by composer Frank Bridge. After the concert he met Bridge and showed him several of his compositions. Ultimately Bridge took him on as a student. Benjamin entered the Royal College of Music in London in 1930. There he studied composition with John Ireland and piano with Arthur Benjamin. During his stay at the school he won several prizes for his compositions. During this period before World War II, he met and worked frequently with poet W. H. Auden, who provided texts for many of his songs, as well as complete scripts for which Britten provided incidental music. In the spring of 1939, Britten and Pears left Europe for North America. In 1940 he worked with Auden on an operetta for high schools called Paul Bunyan, based on traditional American folk characters. This was the first of many works written for children, or with children in mind. His almost obsessive fondness for boys’ voices, and his love for children, is seen in his many works for and about them. The Young Person's Guide to the Orchestra (1946), Let’s Make an Opera (1949), Noyes Fludde (1957), Missa Brevis (1959) to the Golden Vanity (1966, for the Vienna Boys Choir) and the harrowing tale of the Children’s Crusade (1968, for Wandsworth School) all prominently feature children. During the early 40s, Britten produced a number of works, outstanding among them the Hymn to St. Cecilia, A Ceremony of Carols, Seven Sonnets of Michelangelo, Serenade (for tenor, horn, and strings), Rejoice in the Lamb, and the Festival Te Deum. He completed Peter Grimes (which many consider his best operatic work) in 1945. 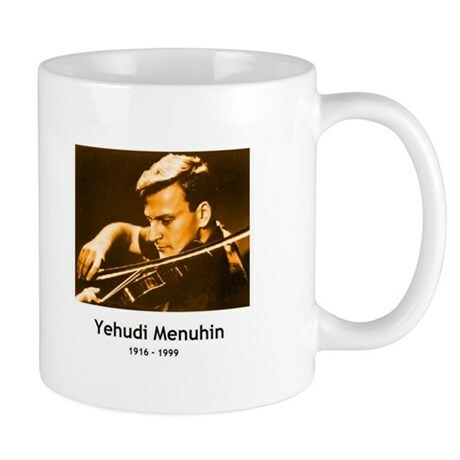 He also wrote chamber music, songs, folk song arrangements, and choral works. Britten was awarded the Order of Merit in March 1965; he was created a Life Peer, Baron Britten of Aldeburgh in the County of Suffolk, in the Queen's Birthday Honours List, June, 1976. He died at his home in Aldeburgh, Suffolk, on December 4, 1976. Peter and the Wolf, by Prokofiev, is also used to introduce the instruments. Different instruments play different parts.